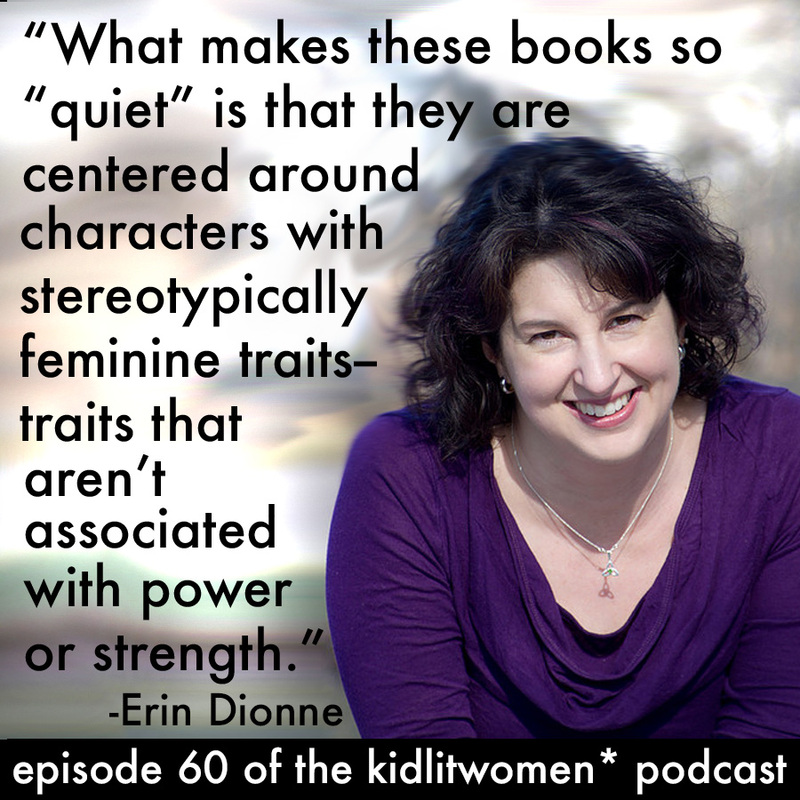 Welcome to episode 60 of our kidlitwomen* podcast! Every week this podcast will feature an essay about an issue in the children's literature community (Monday) and a discussion about the essay (Wednesday). In this episode, we feature the essay, The Fallacy of the Strong Female Character by Erin Dionne. You can read Erin’s essay HERE. Erin Dionne’s latest book for tweens is Lights, Camera, Disaster (Scholastic 2018). Her other novels are Models Don’t Eat Chocolate Cookies, The Total Tragedy of a Girl Named Hamlet, and Notes from an Accidental Band Geek. Her novel Moxie and the Art of Rule Breaking: A 14 Day Mystery, is based on the real-life Isabella Stewart Gardner Museum art heist and was a 2014 Edgar Award finalist. The series continues with Ollie and the Science of Treasure Hunting. Her first picture book, Captain’s Log: Snowbound, illustrated by Jeffrey Ebbeler, was released in 2018 and received a starred review from Kirkus.